To the north of Cambridge accessed from the A10, developers Suon Cambridge identified a 120 acre Brownfield site which had potential for development. The existing site had a mixed history, having been used for gravel extraction (leaving large ponds on the site) and for forestry. Together these created a rich wildlife environment. In addition the site is bounded to the west by a Roman earthwork. Working with the developers Frank Shaw Associates developed a masterplan which respected the archaeological remains while reshaping the areas of water and landscape to create development sites which retained and enhanced wildlife habitats and the diverse ecology of the site. 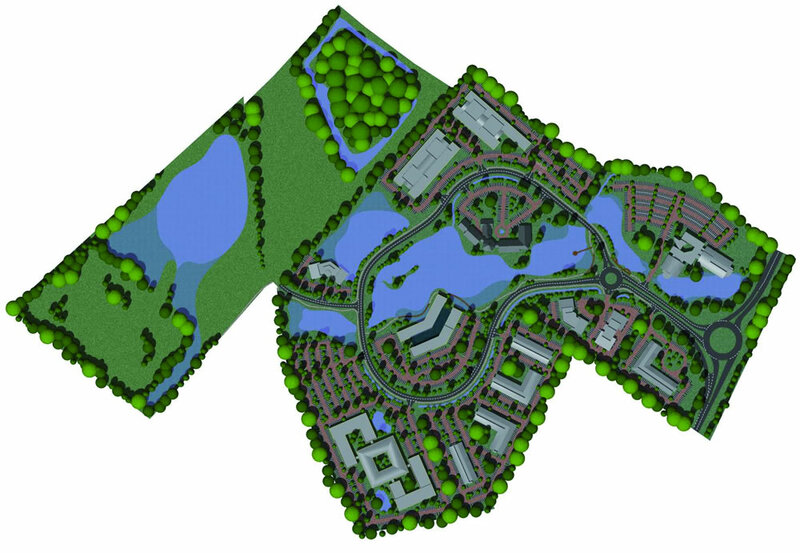 The masterplan obtained planning approval for leisure, hotel, conference, and research and development uses. Frank Shaw Associates went on to design the gateway building for the development, the regional headquarters for ntl.